Are you stuck? Lacking clarity or direction? In need of some forward movement or a shift in perspective? Do you crave a connection to self and increased awareness? Are you on rinse and repeat? Or perhaps you have some great ideas and just can’t muster the energy to execute them! Whether on your own journey of awakening, or a healer/practitioner looking to enhance your healing practise – Pellowah is calling you as you read this! 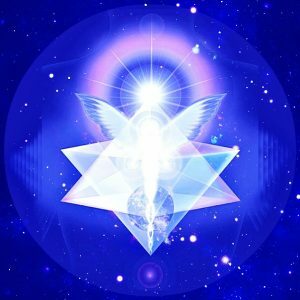 Pellowah is an angelic word meaning “Radical Shift in Consciousness” – its primary reason for being channelled at this time is for awakening the consciousness of humanity. Although an angelic word, Pellowah energy does not originate from the angelic realms. It is pure source energy, a direct transmission from the Light. The Pellowah Healing Technique© was first channelled in 2003 by Australian Spiritual teacher Kachina Ma’an. The purpose of Pellowah is to increase your capacity for positive change: To enable you to reach your highest purpose and potential. Directed by spirit through a series of dreams and visions Kachina founded the Pellowah Healing Technique© and began to train others in this new energy modality in 2004. Do you feel the Pellowah call? Attune to Level l & ll, or experience a Pellowah Healing from a registered Practitioner. Now more than ever we are being called to remember “Who We Really Are”. Pellowah is an opportunity to shift our individual consciousness and create a ripple effect in the consciousness of humanity! To awaken the truth within us! Pellowah connects all 12 strands of DNA – ready for activation. It unblocks and realigns all the meridians within the body, giving a feeling of well-being and connection which allows for a Radical Shift in Consciousness. The healing effects of Pellowah are a wonderful by product of a “Shift in Consciousness”. You may experience new expanded perceptions and a more objective understanding and outlook on life. This enables you to make healthier choices and intuitive decisions, thus enhancing your health and wellbeing! Check out the Frequently Asked Questions! See if Pellowah calls to you for your own spiritual growth, or for the purpose of enhancing your skills as a Practitioner and facilitating awareness and growth in others! Organise a Pellowah Level l & ll Workshop in your area! Use the contact form to enquire about Workshop facilitation in the United Kingdom (UK), Europe, Canada, USA, Australia & New Zealand! “Pellowah for me was a remembering…a long lost old friend, a rediscovered sense of purpose and place…and this very emotional weekend for me, was a coming home to self.